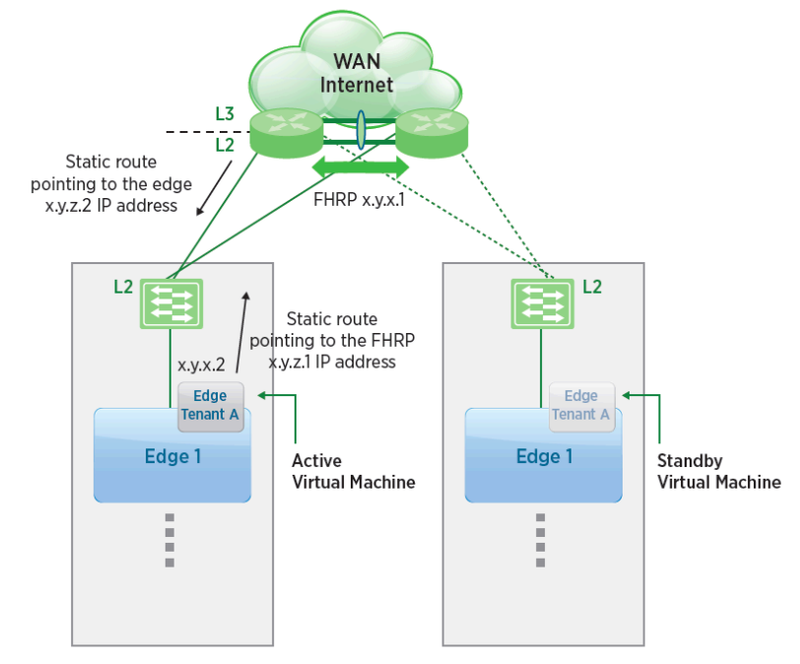 Pingback: NSX Edge vs vShield Edge: Part 2 – High Availability - VIRTUALIZATION IS LIFE! Question for you. I’m currently working on a project to deploy NSX for our university. I’ve read through the NSX design guide and found it to be a bit too vague when it comes to information regarding how to achieve high availability with fast single packet loss (1 sec?) convergence. I’ve tested several different ESG routing designs thus far. 1.) ESG Active/Standby HA – failover is too slow (10) seconds? 2.) (3) ESGs with ECMP with OSPF Area0 to Core and Area51 NSSA (VXLANs on DLR) – failover on ESG 1 and 2 are very fast single packet lost. However, restarting ESG 3 results in a very long (many minutes) outage due to issue with the NSSA type 7 to type 5 translation only being done on the ESG with the highest IP. Furthermore I suspect that OSPF may present additional challenges when it comes to protecting the core from receiving only trusted prefixes advertised from my ESGs. Not sure how this can be accomplished with OSPF. 2.) (3) ESGs with ECMP running iBGP peering with Core and OSPF Area 0 peering with DLR. My BGP knowledge is admittedly somewhat limited but I tried every combination of tweaks and still couldn’t get better then about 2 minutes to converge after the failure of an ESG. I’m inclined to believe that BGP is not the best option for achieving fast convergence with NSX. Any input you might be able to provide would be greatly appreciated. (3) ESGs with ECMP running iBGP peering with Core and OSPF Area 0 peering with DLR. My BGP knowledge is admittedly somewhat limited but I tried every combination of tweaks and still couldn’t get better then about 2 minutes to converge after the failure of an ESG. I’m inclined to believe that BGP is not the best option for achieving fast convergence with NSX. Hi Iain, huge apologies for the missed response on scenario 3, here. The 2 minutes to converge in your 3rd scenario I believe is related to the Graceful Restart timer (enabled by default), if you disable graceful restart, you will see a failover time more closely aligned to the BGP Peering KeepAlive and Hold timers. Hey thanks for the question! I might move this question to communities, or post it to the collective internally if you’re ok with that. In your scenario #1, you saw failover of 10 seconds with a 6 second dead time? The standby peer should definitely take over in <10, but you're looking for 1 packet-loss convergence. For scenario #2; I actually wasn't aware of that limited translation behavior. You say "due to issue with the NSSA type 7 to type 5 translation only being done on the ESG with the highest IP" Do you have a PR or reference for that? If the area type was implemented per the NSSA RFC; that LSA translation function should be distributed. Did you tinker with an identical configuration with normal areas? For scenario number 3 are you running Multipath/maximum path" BGP commands at the core for your peering with the ESG cluster? Definitely should not be looking at convergence in minutes. Sorry to answer you with questions, I know that's incredibly rude. Have a great weekend! 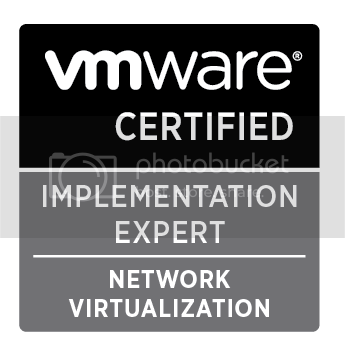 Pingback: NSX Bytes: NSX Edge - High Availability Status Down - VIRTUALIZATION IS LIFE!